Ghostly greetings, folks. It’s almost Halloween! This week, our schedules are likely packed with trick-or-treating everywhere from local businesses and family members’ workplaces to neighborhood sidewalks and community churches. Smartphone cameras are charging (“it’s alive!”… kind of not joking) and ready for all those oh-so-adorable costume pics. And yet, the scariest part of Halloween might not be the ghoulish garb, spooky specials or monstrous quantities of sugar we are consuming. Stop in for a spell and, together, let’s find out the “scary” things our cute Halloween pics may be handing out besides “spooky” cheer. Don’t be a scaredy cat. They all come with a “trick” to help ensure we are safe and thoughtful digital parents throughout this All Hallows' Eve holiday. Scroll down, stay safe out there and have a “boo-tiful” Halloween! Let’s talk geo-tagging and hidden location features. What’s geo-tagging? When we “check-in” or “tag” our location on things like social networks. It’s data in photos and videos that share geographical info (AKA where we are). Now, as indicated in this The New York Times article, there are times when you should (and shouldn’t) share your location using a smartphone. My fear (among the many The New York Time’s pointed out) is also when using location features in social media that I may forget to turn them off later!? Go to "Settings" > Click "Privacy" > Click "Location Services" > Click "Camera" > Choose "Never"
Often unintended, images and posts can disclose things like home addresses as well as daycares and schools our kiddos attend which we do not want to be advertised on the —sometimes scary — intertwined World Wide (spider)Web. If in the wrong hands, this information can put our families and us at risk. Think our family photos are just going to friends and family? When’s the last time we all reviewed our privacy settings? We could easily and unknowingly be sharing with friends-of-friends (AKA strangers) or even the public (also strangers). In addition to posting and sharing photos, tagging our children or spouses, as well as other children and their parents, in pictures creates a more vast audience. Depending on everyone’s privacy settings, tagging can share images with those above-mentioned friends-of-friends (AKA strangers) or even the public (also strangers). Always important to remember: I’ve seen privacy settings phrased as a “courtesy” and not a “guarantee.” Unfortunately, even the best privacy settings can fail us. So, if there’s someone who shouldn’t see it, don’t post it. Trick: Stay up-to-date with privacy settings on each social platform and don’t tag others. Be mindful of those settings and make them work for you. All the time. It’s slightly different for each social platform, but here’s a handy-dandy guide to help you learn how to update your privacy settings on popular devices and online services. Do this Trepid Tech Mom a favor and head on over to Facebook: Go to "Settings" > Click "Privacy" > Make sure “Who can see your future posts?” says “Friends” and not “Public." Want to take it a step further? You can also limit the audience for posts you’ve shared with “friends-of-friends” or “public” in this same area. Before doing so, learn more about changing old posts. Those fun, goofy pics can be cause for embarrassment or hurt feelings now and in the future. Sure, many of us have fallen victim to the “oh-but-you-were-so-cute” (paper) photos being brought out from our younger years. While few (hopefully) for us, the next generation is growing up with their lives broadcasted online. The casual sharing these frequent “oh, it is harmless” images may be innocent to us, but we’re not kids. Or tweens. Or teens. Or college applicants. Or job hunters. Embarrassment aside, hurt feelings can also pop up with the swipe of a screen. Ever heard of the tween who was scrolling their social feed only to see all of their best friends hanging out together without him or her? Or perhaps just as upsetting … were they cropped out? Maybe our photos are showing just a sampling of a group of friends and family, and others may have missed out on the fun. How will they feel if and when they scroll past it? Whether it’s just our family or child in the photo or it’s a group pic with others, we must remember that each image posted of our child and the others photographed will add to their lifelong digital identity. Nothing entirely deletes from the internet. Trick: Beware of posting someone else’s image. 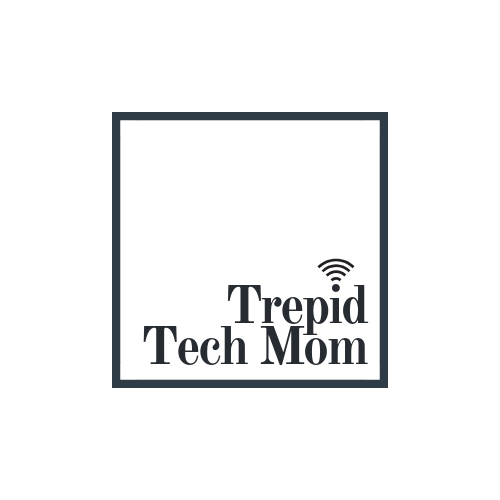 They may be a Trepid Tech Mom (or dad, grandparent, aunt, uncle, etc.) and not want it up for all to see. We must always ask before posting. Everyone. Adults and kids. Especially kids who may be old enough to have their own profiles. If the children are very young, at the very least, let’s commit to asking their parents and making sure we never post these 8 photos of our kids on social media. Often, we parents with younger children feel a sense of relief that, for now, we have plenty of time to worry about how technology will impact our kids down the road. We assume without smartphones or social profiles, kids are immune to the dangers and implications of this “scary” stuff because if anyone is doing anything, it’s us adults who are sharing their story. And yet the most frightening thing might be that they’re watching us interact with technology and social media. Are our heads down in our phones constantly? Do our kiddos get more than their fair share of “just one minute, sweetheart” as we scroll through our feeds? Is there a “phone-free” area or time in our house? Trick: Recognize our own patterns and habits because our kids are watching and following suit. As psychologist Dr. Mike Brooks states in this Cool Mom Pics article, managing your kid’s screen time has a lot to do with managing your own screen time. There are tons of tools and apps available to help us handle our personal phone use. If you’ve got an iPhone, Apple recently unveiled a new set of “digital wellness” features for better managing screen time (go ahead and click on that … it’s got some excellent stuff from TechCrunch.com). Personal story: When 5-months pregnant our second child, I was part of a group photo that posted on a local professional club’s Facebook Page. Not a huge deal? Well, they “tagged” me in the photo — which showed we were “expecting” — and my husband and I had not yet made an official announcement online let alone told to some long-distance family and friends. Soon after the fact we did, however, it was not on our timeline, which was disappointing. Trick: Before posting, let’s all pause and think about what the photograph may tell outside of our caption. And let’s pledge always to follow these 5 rules for posting about a friend's baby. While we may post and share with the intention of offering Happy Halloween cheer, to some, it may not be received that way. We all had a great time at [fill in the blank’s] trick-or-treat bash. Perhaps others seeing this in their newsfeed didn’t have the same experience due to [oh, name anything - short naps, too much sugar, not enough dinner, etc.]. Which happens. But it still stings a little to see others’ highlight reels knowing yours was, well, not (haven’t we all been there?). Halloween is fun. Many of us do it as kids and even go all out into our teens. Once we become parents, that joy and excitement begin to overflow as many of us look forward to showing off those “first Halloween” pumpkin patch visits, apple orchard hayrides and cute costumes. And some are denied these happy days of dress-up and treks out trick-or-treating. Whether due to infant loss, infertility or a variety of other circumstances, seeing someone else’s cheerful post can cause sadness. 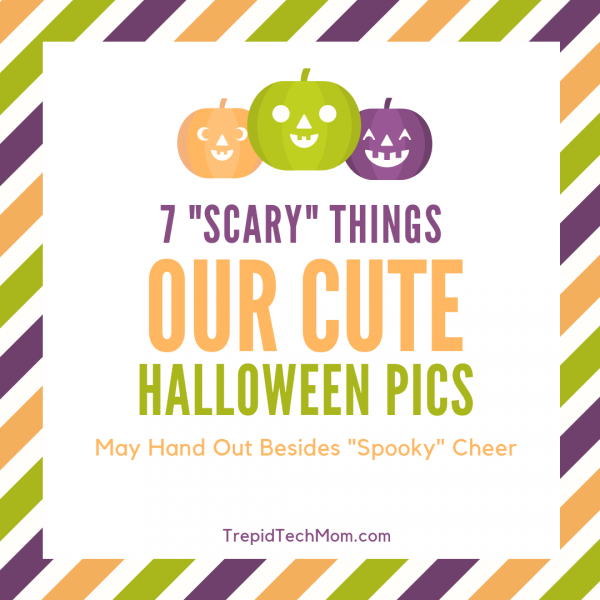 Alright, we’ve covered the “scary” things our cute Halloween pics may hand out besides “spooky” cheer, as well as a few tricks to help ensure we’re all safe and thoughtful digital parents (and grandparents, aunts, uncles, cousins, friends, etc.). Now, let’s go out there and celebrate this “spooky” holiday, take in a few too many fun-size treats and pause just for a minute before we decide to share our hauntingly fun highlight reels online. Keep calm, trick-or-treat and carry on. And Happy Halloween!